Opera is known for its passionate love stories and larger-than-life romances but at Glyndebourne those stories are not confined to the stage. This month we delve into the archive to discover some of the Festival’s greatest love-stories – both fictional and real-life. 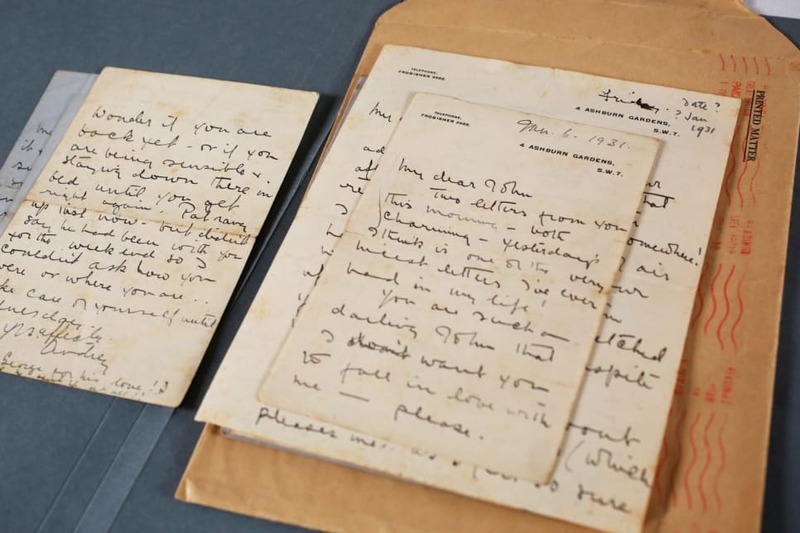 A selection of letters from Audrey Mildmay to John Christie (Photo: Sam Stephenson). The original Glyndebourne love story began in December 1930 when Audrey Mildmay, a young soprano from the Carl Rosa opera company, was hired by John Christie to perform extracts from Mozart’s Die Entfuhrung aus dem Serail in his specially-constructed Organ Room. The performances were a success and, by the time Mildmay left, plans had already been put in place to meet up again with her ‘charming host’. Theirs was a whirlwind romance. Having met in December 1930, Audrey Mildmay and John Christie were married in June 1931. 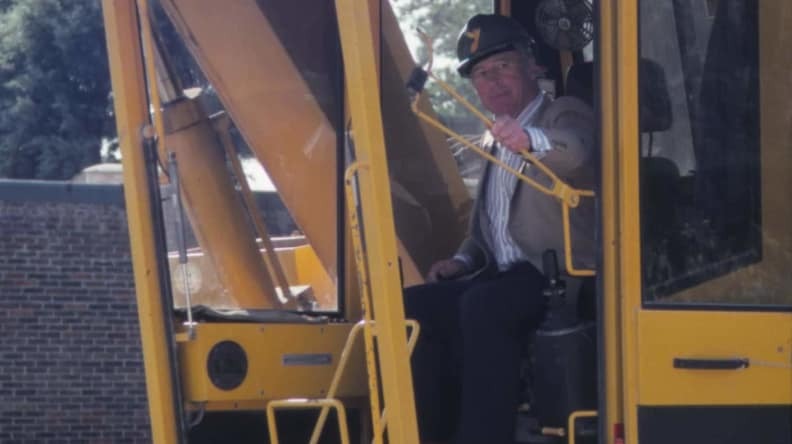 But it wasn’t all plain sailing. The talented Mildmay was understandably reluctant to step back from a career that was just beginning. 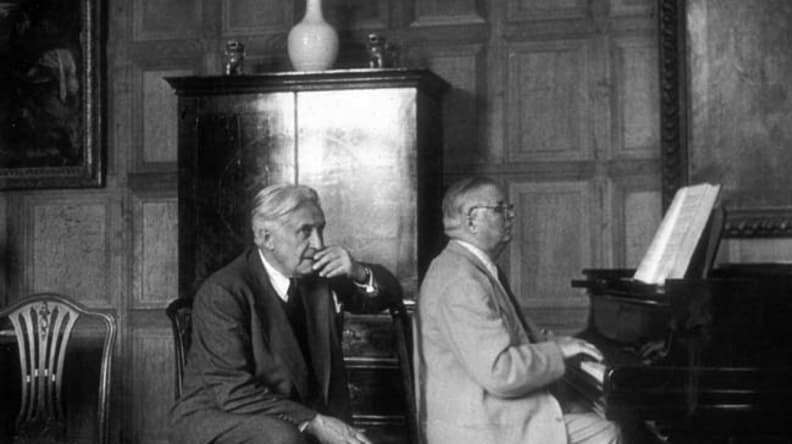 Both sides of their correspondence are preserved in Glyndebourne’s Archive, and tell a vivid tale of attraction, doubt, and ultimately love and marriage. 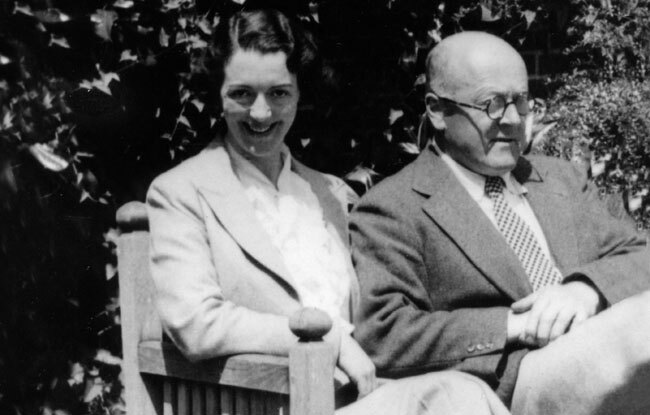 Audrey Mildmay and John Christie (Photo: Glyndebourne Archive). During the period of their courtship the Carl Rosa company was touring all over the UK and Christie was concerned for Audrey’s health and well-being. Fearing she was too thin, he sent parcels of food including fruit from the Glyndebourne hothouses and, on one occasion, even a brace of pheasants. Cold was also a worry, and Christie’s concern inadvertently caused a minor scandal when he sent Audrey some furs. Believing that the parcel contained flowers, she opened it at the Stage Door in full sight of colleagues, who knew exactly what it meant when a man was sending a woman such gifts. ‘My name is mud!’ writes Audrey, underlining it three times. ‘As much as I should like to accept it is against the rules’. The rest is, of course, history, and the couple were married the next summer. 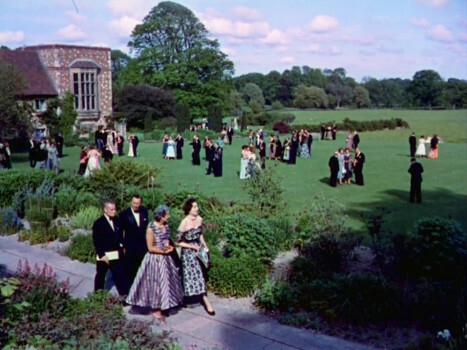 While the Glyndebourne Festival was certainly born of a great love story, the idea that it was a wedding present, or somehow founded for John Christie’s opera-singer wife is a misconception. 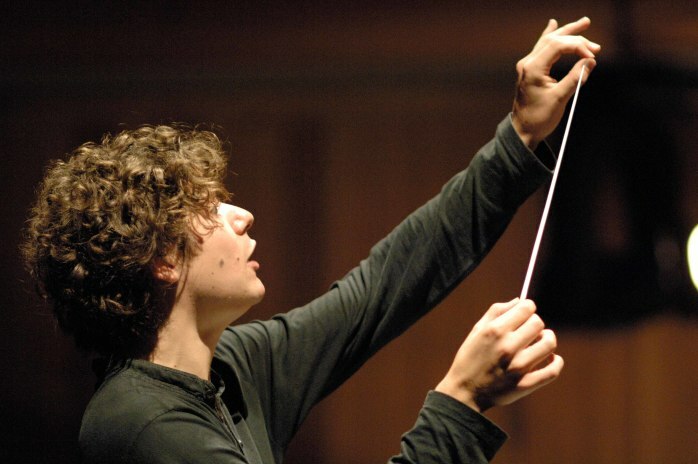 The Glyndebourne Festival was the result of a very clear decision to present European-style opera in the UK where it didn’t, at that stage, exist – a professional artistic enterprise from the start. The rose from the 1980 production of Der Rosenkavalier (Photo: Sam Stephenson). When Glyndebourne and director John Cox decided to stage a new production of Richard Strauss’s great romantic comedy Der Rosenkavalier – the company’s first in over 20 years – they scored an important coup. Cox persuaded legendary Russian designer Erté, then aged nearly 90, to design sets and costumes, creating one of Glyndebourne’s most stylish and sumptuous striking productions in living memory. 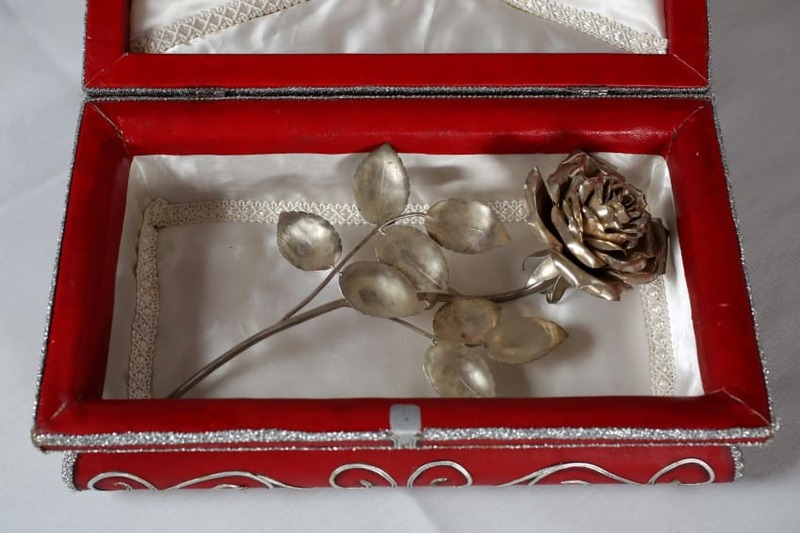 At the heart of any Der Rosenkavalier is the silver rose – the ceremonial object that Octavian must present to Sophie on behalf of the libidinous Baron Ochs. A symbol of innocence, love and fairy tale magic, with its own shimmering orchestral theme, the rose carries great dramatic weight. But what’s most striking about the rose created for Erté’s 1980 production is its understated beauty. Meticulously and astonishingly detailed (right down to the sepals on the back of the flower) it’s an extraordinary piece of craftsmanship. 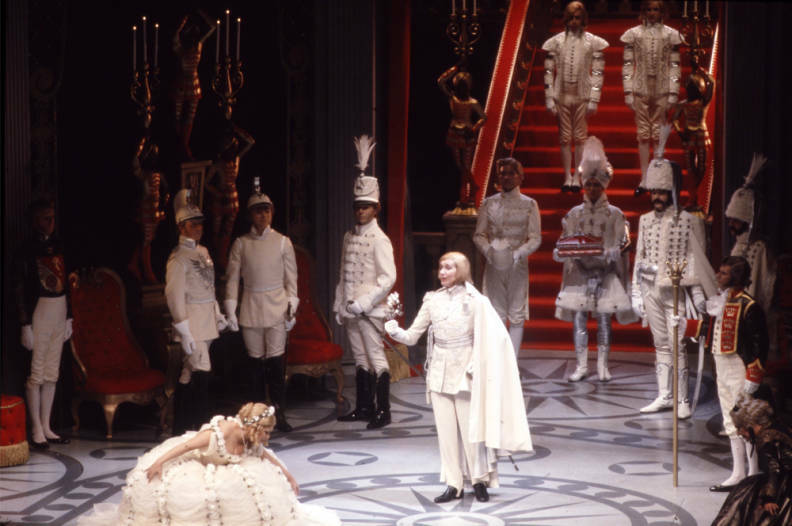 The presentation of the rose scene in the 1980 production of Der Rosenkavalier (Photo: Guy Gravett/Glyndebourne Archive). Although it appears delicate and fragile on stage, the rose is actually strikingly heavy – a significant challenge for any singer working with it. No one knows who the craftsman was who made it, nor even what it is made from, though rumour has it that it is solid silver. In terms of style it represents a tremendous contrast both to the ornate and incredibly elaborate rose from Glyndebourne’s original 1959 Der Rosenkavalier, designed by Oliver Messel, and to the long, minimalist elegance of Nicky Gillibrand’s for the current Der Rosenkavalier, directed by Richard Jones. An exclusive range of limited edition products inspired by Erté’s Der Rosenkavalier designs is available from the Glyndebourne Shop. Fast-forward five years on from the end of any opera and how many of the couples would you still find living happily ever after? Figaro and Susanna are probably thriving, but what about Caesar and Cleopatra, Tamino and Pamina or the young lovers of A Midsummer Night’s Dream? One couple you’d put money on is Nemorino and Adina from Donizetti’s romantic comedy L’elisir d’amore. A rare example of a genuinely, uncomplicatedly happy ending, the opera unites the boy next door with his vivacious beloved after only minor twists and turns. Annabel Arden’s production, which premiered at Glyndebourne in 2007, updates the opera’s era to the 1940s, but keeps the small-town, Italian setting and sunny, good-natured spirit of the original, sending her young lovers off into the sunset on a brightly coloured cart. 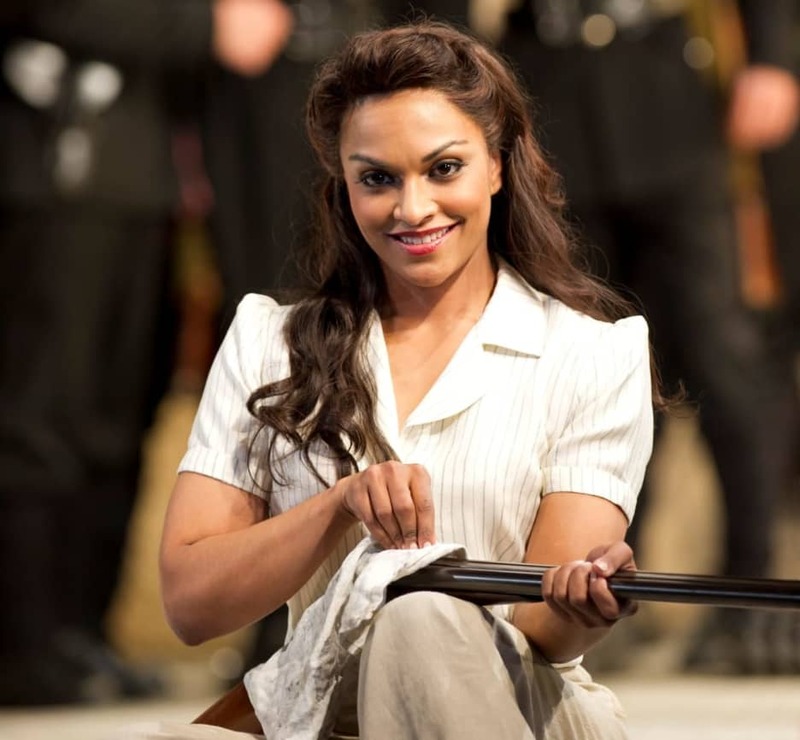 In the photo above (taken of the 2011 revival) we see American soprano Danielle de Niese as Adina – a nod to Glyndebourne’s own second-generation love story. History found itself repeating in 2009 when the American soprano married Gus Christie in a wonderful echo of his own grandfather John Christie and Audrey Mildmay. L’elisir d’amore returns to the Glyndebourne stage this autumn as part of Tour 2019, find out more.